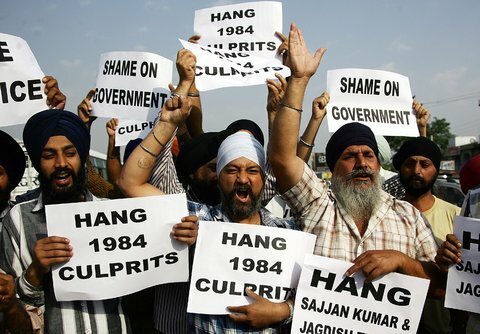 4,000 Sikh men, women and children slaughtered by Congress hoodlums 31 years ago, in 1984. In Delhi alone, 2,733 Sikhs were burned alive, butchered or beaten to death. Women were raped while their terrified families pleaded for mercy, little or none of which was shown by the Congress flag-bearers. All India Radio and Doordarshan kept on broadcasting blood-curdling slogans of ‘Khoon ka badla khoon se lenge’ (We shall avenge blood with blood) raised by Congress workers. The slaughter was not limited to Delhi. Sikhs were killed in Gurgaon, Kanpur, Bokaro, Indore and many other towns and cities across India. In 31 years since then, no one of importance has been prosecuted yet?